At least one Salt Lake City-area radio station has stopped airing an advertisement opposing Utah’s Proposition 2 after complaints that the spot included false and misleading statements about medical marijuana. Kayvon Motiee, president of Broadway Media, said the ad by the Drug Safe Utah coalition is no longer airing on 101.5 The Eagle (KEGA), the only Broadway station that had been running the opposition message. Broadway Media also owns X96, U92, Mix 105.1, ESPN700 and Rewind 100.7, but Motiee said the spot had not yet run on those stations. Federal Communications Commission records show that Drug Safe Utah also purchased $3,000 of radio airtime on KSL, scheduled to run between Sept. 5 and Sept. 11. And the coalition purchased roughly $2,500 of airtime on Talk Radio 105.9 KNRS, which hosts the popular “Rod Arquette Show,” according to FCC records. Tanya Vea, general manager of KSL, confirmed that the advertisement began airing on Wednesday. KSL is owned by The Church of Jesus Christ of Latter-day Saints, which has come out in opposition to the ballot measure. “There’s been no challenge to the ad on our part,” Vea said. On Tuesday, the Utah Patients Coalition — which sponsored the ballot initiative to legalize medical marijuana in Utah — filed a formal complaint with the state’s election office regarding the advertisement and other anti-medical marijuana campaign materials. 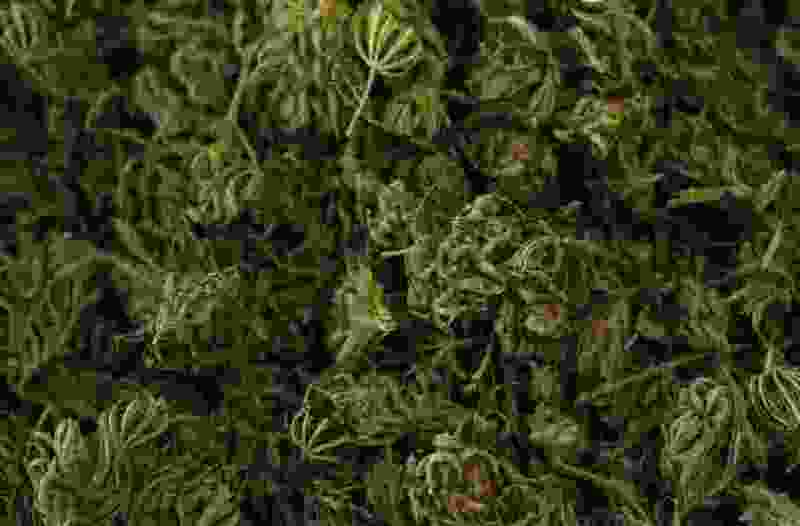 The group alleged that Drug Safe Utah — a coalition that includes the Utah Medical Association and the LDS Church — has made false claims regarding Proposition 2, including that the initiative would facilitate recreational use of marijuana. If approved by voters in November, Proposition 2 would allow patients with qualifying medical needs and a doctor’s recommendation to obtain a medical marijuana card and legally buy medical cannabis from a privately owned dispensary. Drug Safe Utah responded to the complaint with a statement that accused pro-recreational marijuana groups outside the state of trying to silence the realities of Proposition 2. Those groups, Drug Safe Utah said, do not want Utahns to know that some forms of medical marijuana are already legal in the state, that Proposition 2 includes optometrists, podiatrists and dentists in the list of medical professionals who could recommend marijuana as a treatment, and that the initiative lacks the traditional safeguards of medical practice. Justin Lee, Utah’s director of elections, confirmed receipt of the Utah Patient Coalition’s complaint Tuesday. State law prohibits individuals from knowingly publishing false statements regarding election issues, Lee said. But it has not been determined whether a violation took place, he said, or what consequences would follow a violation.